This week's pick for "Oldie Goldies" is "Cat On A Hot Tin Roof", based on a Tennessee Williams play. The film features sensational performances all around and a great script. 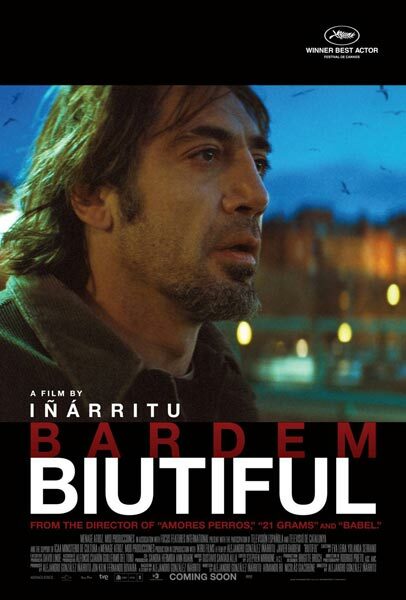 As a result, the film was nominated for 6 Oscars - Best Picture, Best Director, Best Cinematography, Best Adapted Screenplay, Best Actor and Best Actress. 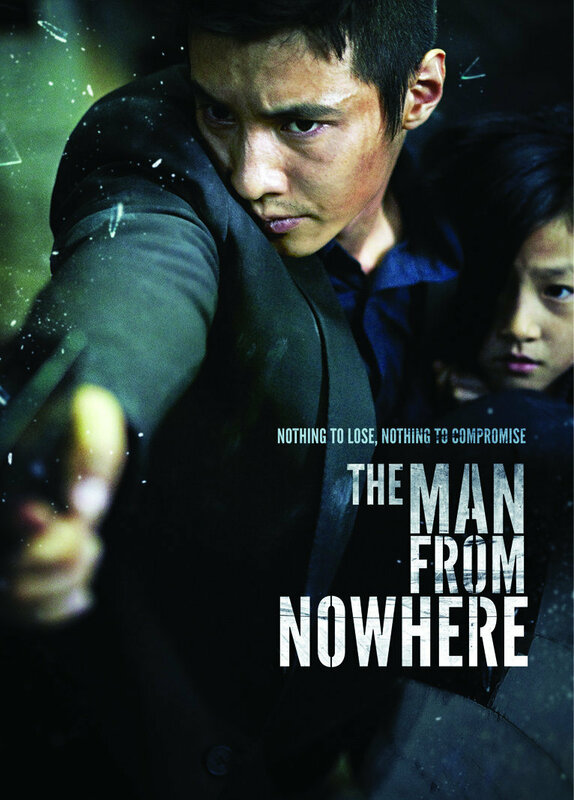 "The Man From Nowhere" is a hidden gem from South Korea that is gripping from start to finish. Like typical South Korean cinema, it is a brutal, violent revenge tale, featuring a stellar performance by Bin Won as the title character. This guy is a true movie star with charisma to spare (see also his performance in “Mother”). I really hope he continues to get good roles and gets noticed in this side of the world. On this week's "Oldie Goldies" we take a look at a film featuring 2 icons of cinema - Cary Grant and Katharine Hepburn. "Bringing Up Baby" is a film that in restrospect, seemed to be "ahead of its time" as it was not well-received upon its inital release. Nowadays, it's viewed as a classic. It's truly a fun riot from start to finish. 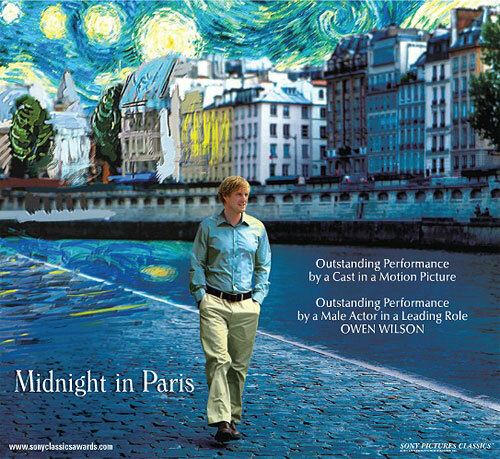 I finally caught up with "Midnight In Paris" and I am glad to see that Woody is back to his usual witty self (after the atrocity that was "You Will Meet A Tall Dark Stranger"). The film was very charming and definitely possessed that extra Woody Allen quirkiness to it. The film was well-cast, with Owen Wilson fitting well into the lead role. I also thought Rachel McAdams did a good job and I loved seeing Adrien Brody hamming it up as Salvador Dali. In terms of its Oscar chances, I can really only foresee a nomination for Best Original Screenplay. The Academy loves Woody and this film really showcases his excellent writing skills. He really is one of the best scripters of romantic comedies. The film is doing well with audiences and critics alike, but I personally felt it was a bit too light to merit a Best Picture nomination. I think it would have been a virtual lock under the old 10-nominee system, but I can't see it getting those 1st place votes required by the new rules. I'm no expert though, as I was way off the mark with "Winter's Bone" last year (it ended up with 4 nominations!). "Rise of the Planet of the Apes" (aka the worst film title of the year) is an incredibly fascinating film by director Rupert Wyatt. The script is lean and well organized, as the sequence of the events build up to each other perfectly without any unnecessary plot details. The visual effects work really was exceptional, as we were able to really get into the soul of Cesar and the other apes. As a result, the film was deeply unnerving at times, as the apes were so human-like, but with the frightening beastly power of apes. I really appreciated that the filmmakers choice to be so conservative with the ape attacks (there were no bloody human back-breaking scenes for example) as it really allows you to remain sympathetic with the liberation element of the story. Hmm, after watching "Blue" (the first in the "Three Colours" trilogy) I was left a bit disappointed. I appreciated its artistic merits, but I just couldn't get into the story. This week's pick for "Oldie Goldies" is 1959's Ben-Hur. The production is an epic in every sense of the word - the music, the showy acting, the long runtime, the costumes etc. As a result, the film was nominated for 12 Oscars (Best Picture, Best Actor, Best Supporting Actor, Best Art Direction, Best Cinematography, Best Costume Design, Best Director, Best Visual Effects, Best Editing, Best Original Score, Best Sound and Best Adapted Screenplay), winning 11 of them (everything but Adapted Screenplay). The LAMB (Large Association of Movie Blogs) is doing a re-casting of 1954's "Sabrina". One of the proposed casts is my submission. Check them out here and vote! Yes, I am embarrassed to admit this. I had never seen "E.T." until this year(if I did, it was when I was very young). Nobody makes a summer blockbuster like Spielberg. This movie was awesome, there’s nothing much else to say. By the time the kids flew above their pursuers on their bikes, I was clapping and hollering. Absolutely loved it. BTW, how freakin adorable is Drew Barrymore in this movie? This week on "Oldie Goldies", I decided to look at one of Disney's earliest animated films - "Pinocchio". The film just has so much heart and is a great moral lesson for kids. At the Academy Awards, the film took home the prizes for Best Original Score and Best Original Song, for the now-famous Disney theme "When You Wish Upon A Star". "Captain America: The First Avenger" is yet another successful production by the Marvel team. The film was everything you could want from a summer film. A bit campy at times, but I guess it was period-appropriate. The visual effects work on the “skinny” Chris Evans was cool, even though it seemed gimmicky at times. The film actually worked best outside of the action scenes, fueled by a brilliant supporting cast (Stanley Tucci, Tommy Lee Jones, Dominic Cooper, Hayley Atwell and Hugo Weaving). On this week's edition of "Oldie Goldies", I decided to look at the Sidney Lumet classic courtroom drama "12 Angry Men". The film is a fascinating look at what goes in a jury room. One of the things I really loved is that it addresses the issue of prejudice based on socio-economic, rather than racial factors. The film was nominated for 3 Oscars - Best Picture, Best Director and Best Adapted Screenplay.